Hello everyone! I’m sorry for my lack of a post on Friday, and I didn’t get around to visiting everyone’s blogs, but I promise that I’ll be busy making the rounds later tonight! These past few days have been insanely busy. 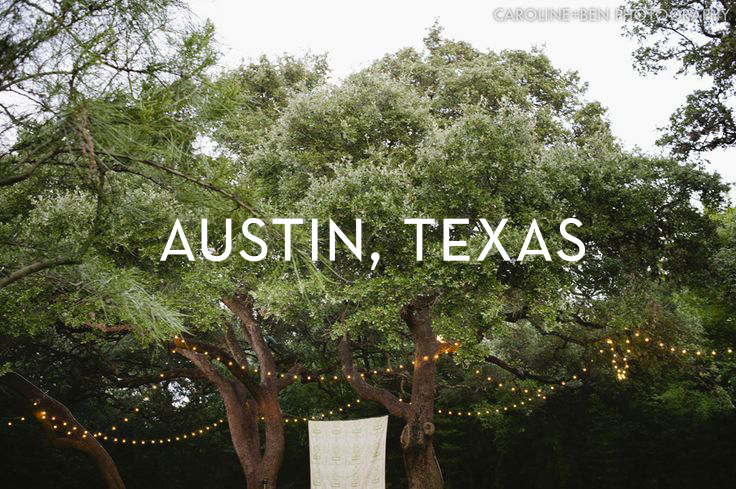 On Thursday morning Brock and I are flying out to Austin, Texas, to see a dear friend of mine get married. I’m a bridesmaid, so it should be…interesting! Have you ever been in a wedding that you had to fly to? How did you pack your bridesmaid dress? We don’t want to check luggage, so I am just bringing my purse and a carry-on. I think I’ll keep it in its garment bag and roll it up? Hopefully the hotel will have a steamer on hand! We are staying at the Omni Southpark Hotel, and the wedding will be at Mercury Hall which looks insanely gorgeous (check that photo out!). I’ve always wanted to visit Austin so I’m pretty excited. I’ve heard the usual stuff to check out, like Torchy’s, but if y’all have any suggestions I would LOVE to hear them! I wish I had suggestions, but I have never been to Austin. It’s on my list of places I absolutely want to visit, though! I’ve never been in a wedding before but I can’t imagine having to fly to one and worry about the dress! I would just keep it in the bag like you said and if need be get it quickly dry cleaned when you arrive – I don’t know how much time you have, good luck! Have fun!! Austin is such a great place!! thanks! 🙂 I’m excited. I think I’m just going to keep it in its garment bag and roll it up and hope for the best! that’s so smart! I am hoping the hotel will have a steamer I can use!